These sight word cards are for sure to keep your students engaged! 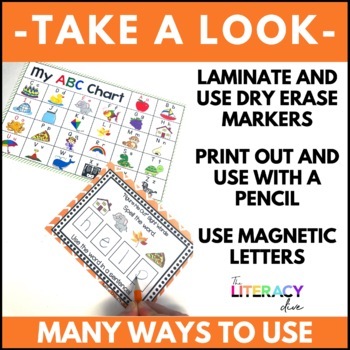 Students can use the ABC chart to help them decode the mystery sight word or they can use their beginning sound knowledge! 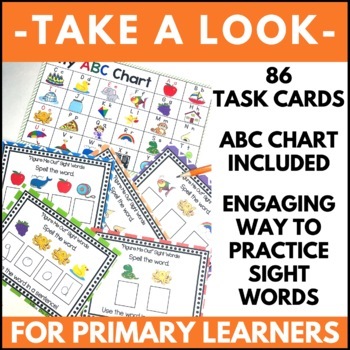 86 sight word cards (Pre-primer and Primer) are included in this set! 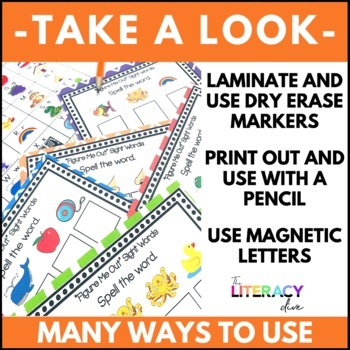 Students can use their fine motor skills to write in the boxes of the laminated card or can use magnetic letters to build the word underneath the picture clues! They will practice their speaking skills and sentence-making skills by using the word in a sentence! You could also opt to have them write the sentences depending on their skill level. 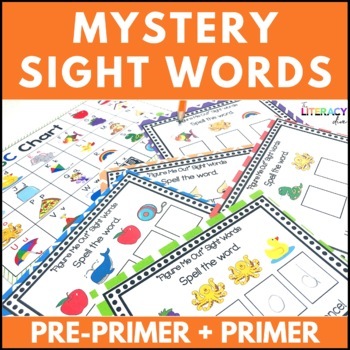 Check out my other sight word activities!